Rajib's Collection: Does Caffeine Help You Live Longer? Your morning cup of coffee may do more than just wake you up — it could boost your longevity, as long as you're drinking the right amount. Most people drink coffee for one reason: It contains caffeine. The average 8-ounce cup of coffee has about 85 to 100 milligrams of caffeine, and within about 15 to 30 minutes of drinking a caffeinated cup of joe, your central nervous system becomes stimulated and will stay stimulated for up to six hours. Caffeine could be the most popular drug in the world. But are there also health benefits? Recent studies suggest that drinking coffee may decrease your risk of heart disease and protect you from Parkinson's disease, type 2 diabetes, and Alzheimer's disease — all increasing your longevity. But these studies still need to be backed up by more research, and it's important to remember that drinking too much coffee can cause side effects, including unpleasant caffeine withdrawal symptoms if you quit cold turkey. Heart disease. The American Heart Association now says that drinking one or two cups of coffee per day is safe for your heart. Some studies actually show that moderate coffee drinking may lower the risk of coronary heart disease, possibly due to antioxidants in coffee or caffeine. Type 2 diabetes. There is growing evidence that the health benefits of coffee may include protection from type 2 diabetes. Again, the exact mechanism is not known and may include coffee substances other than caffeine, since some studies show benefits from both caffeinated and decaffeinated coffee. One large study found the health benefits of coffee extended only to black coffee. Parkinson's disease. Several studies in large numbers of men have suggested that men who drink more coffee or other caffeinated beverages are less likely to develop Parkinson's disease. The protective effect of caffeine does not seem to extend to women if they are taking hormone replacement therapy. Studies in animal models suggest that caffeine may prevent the loss of nerve cells that produce the brain chemical dopamine. Low levels of dopamine are believed to be the cause of Parkinson's disease. Researchers agree that more studies need to be done, but these findings could lead to the discovery of new ways to prevent or treat this common age-related disease. Alzheimer's disease. Several studies in mice show that caffeine decreases the level of a type of protein that builds up in the brains of people with Alzheimer's disease. Caffeine may also decrease swelling in the brain. Although these studies were done in mice, they do suggest a possible role for caffeine in Alzheimer's prevention and treatment. Cancer. According to the World Cancer Research Fund, there is evidence that regular consumption of coffee does not increase the risk of cancer. In fact, for some types of cancer, such as colon cancer and liver cancer, regular coffee drinking may lower the risk. Even with coffee’s potential longevity-boosting benefits, it’s still important to understand the negative side. 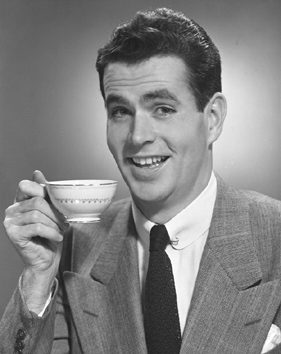 Moderate coffee drinking can make your heart rate go up, increase your need to urinate, and cause restlessness. Most experts say that three cups of coffee per day is a moderate amount, but some people are more sensitive than others. Heart and blood pressure effects. People who drink too much coffee or are more sensitive to caffeine may experience a temporary increase in their blood pressure, a racing heart beat, or extra heartbeats. Pregnancy risks. Some studies have shown an association between high doses of caffeine and miscarriage. Caffeine crosses the placenta and enters the fetus, where metabolism is slow, so you should talk to your doctor about how much caffeine is safe if you are pregnant or plan to get pregnant. Breast tenderness. Caffeine has been shown to increase breast tenderness in women with premenstrual syndrome (PMS) and may result in breast tenderness in women with fibrocystic breast disease. Excessive caffeine reactions. Too much caffeine can cause tremors, sweating, rapid breathing, heartburn, insomnia, headaches, nervousness, dizziness, difficulty concentrating, and loss of fine muscle control. Caffeine withdrawal symptoms. If you drink too much coffee, you can build up a tolerance to the effects of caffeine and end up drinking more and more to get the same amount of stimulation — in other words, you become dependent on it. Sudden withdrawal of caffeine can cause headache, drowsiness, and irritability. The best way to kick the habit is to decrease your caffeine gradually, rather than going cold turkey. Don’t like coffee? Caffeine is also present in tea, chocolate, and some soft drinks. Tea has between 40 and 80 milligrams of caffeine per cup. There is evidence that drinking green tea, which has more antioxidants than other types of tea, may lower your risk for diabetes, liver disease, heart disease, bowel disease, and cancer. If you are thinking of upping your coffee intake for longevity’s sake, remember: The health benefits seem to only outweigh the health risks if you drink coffee in moderation — about three cups per day. Also keep in mind that if you are lighting up a cigarette with your coffee or adding saturated fats and calories with cream and sugar, you may be undermining coffee’s health benefits. Memory Loss on Your Mind? A Home for the Future !!! Foods That'll Make You Gorgeous!!! First Aid: Fact or Fiction? Quit Smoking With Nicotine Spray !! !